Update: Misread the scan. It’s 38/40, not 37/40. Sorry about that. Updated the title. 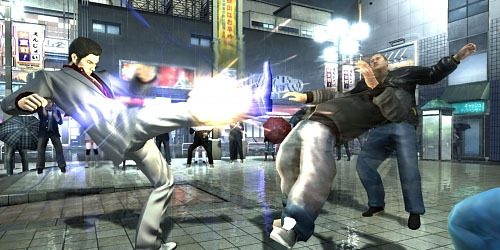 Original: The latest Famitsu is out and Yakuza 4 has racked in an impressive review score. 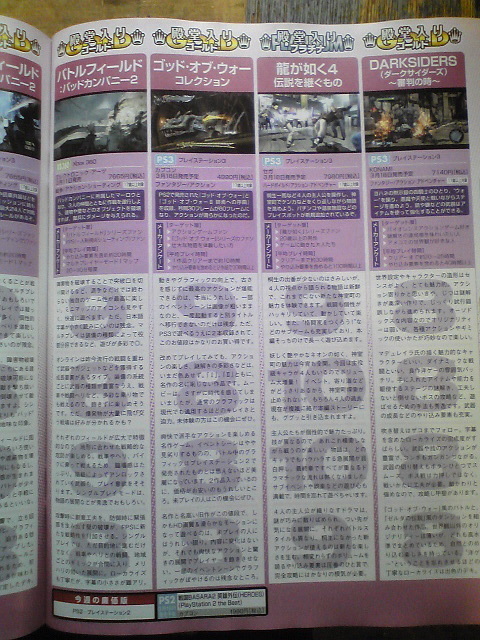 The weekly Japanese magazine has given the fourth numbered iteration of the action game a thirty-seven out of forty. Review scores were broken down into a 9, 10, 10, and 9. That’s pretty damn good, if you ask me. Yakuza 3, on the other hand, also eceived a 9, 9, 10, and 10 when it was reviewed in Famitsu almost a year ago. That same game launched today in Japan. Also reviewed by Famitsu, God of War Collection received a 33/40 and Darksiders a 32/40.